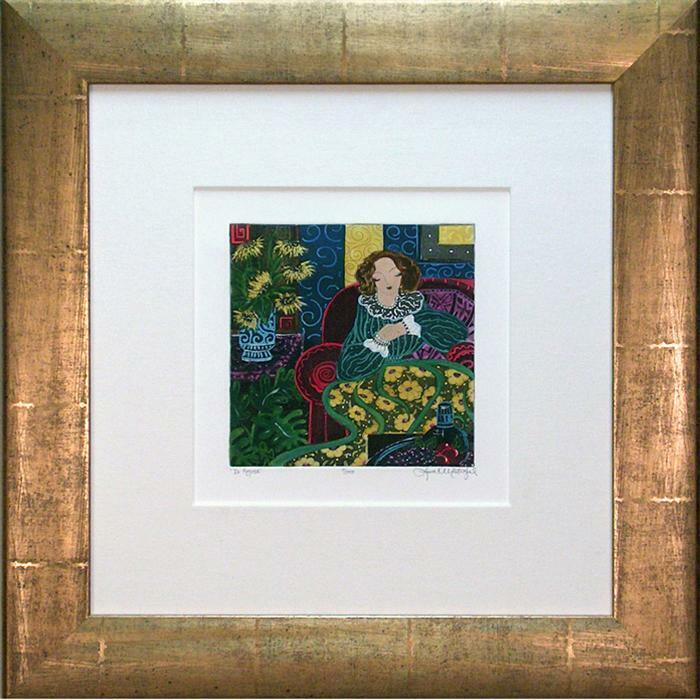 Framed Size - 25" x 25"
Description - This is a hand colored limited edition etching. The picture is framed in a 3 1/4" wide weather gold wood frame that has a slight curve to it. Framing also includes anti glare U.V. Filtering museum glass and has a linen fabric mat.